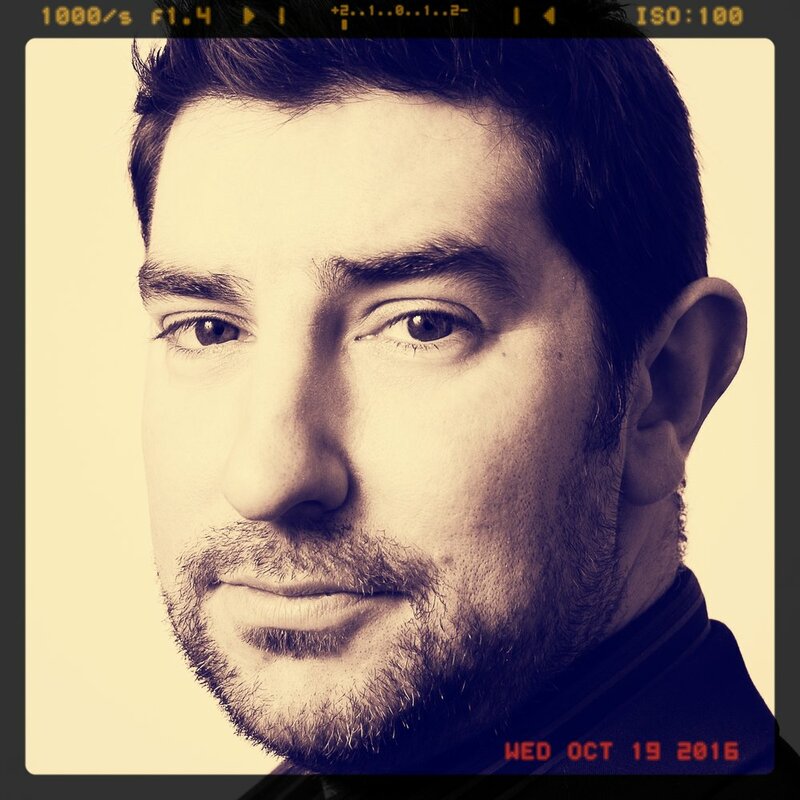 Jack is an experienced, multi-award-winning Writer, Director and Producer with sixteen years experience across the disciplines of Theatre, Theatre Venue Management and Audio. Based in North London, Jack works as a Freelance Creative across the UK and in the USA. He has a keen interest in genre-based story-telling, specifically Science Fiction, Fantasy, and Horror. He has served as the Associate Director of LOST Theatre, directing notable in-house productions such as JERUSALEM and LET THE RIGHT ONE IN (2014 - 2016), as a Senior Producer and Kids Producer for The Wireless Theatre Company (2009-2014), before the company’s transformation into Wireless Theatre Ltd. There, he served as Senior Producer, primarily as the Creative Co-Producer of the THE SPRINGHEEL SAGA and was Acting Head of Production during 2015 and during 2017-2018. He left Wireless Theatre Ltd in September 2018 to undertake a new role, which will be announced in January 2019. Since then they have co-authored the complete SPRINGHEEL SAGA series, PHONOPHOBIA and the award-winning HG Well's-inspired DEAD LONDON. 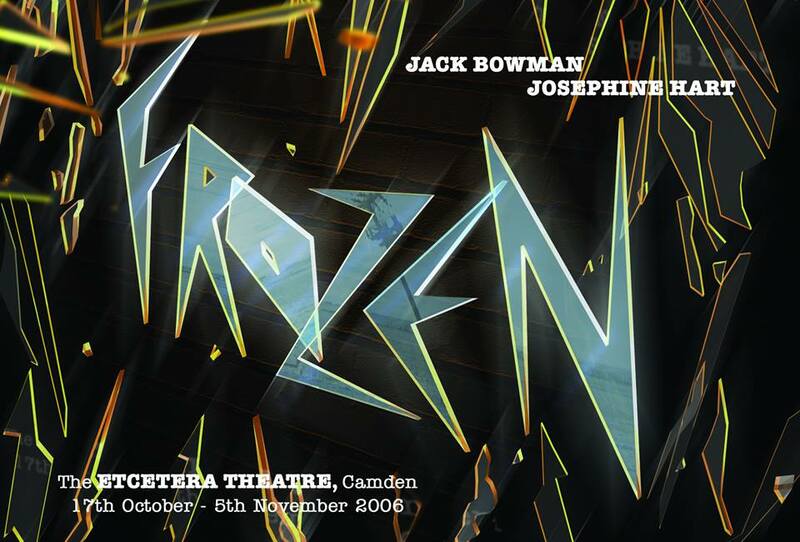 FROZEN (adaptation), The Wireless Theatre Company, 2007. SEASONS, The Wireless Theatre Company, 2008. THE SPRINGHEEL SAGA - Series One: The Strange Case of Springheel’d Jack*, The Wireless Theatre Company, 2010-2011. THE INTRUDER (3D), 3DHorrorFi, 2010. PHONOPHOBIA*, The Wireless Theatre Company, 2010. AUTOPSY (3D), 3D HorrorFi, 2011. STAGE FRIGHT (adaptation), Wireless Theatre Company, 2011. BEAR WITH ME, The London Festival Fringe, 2011. 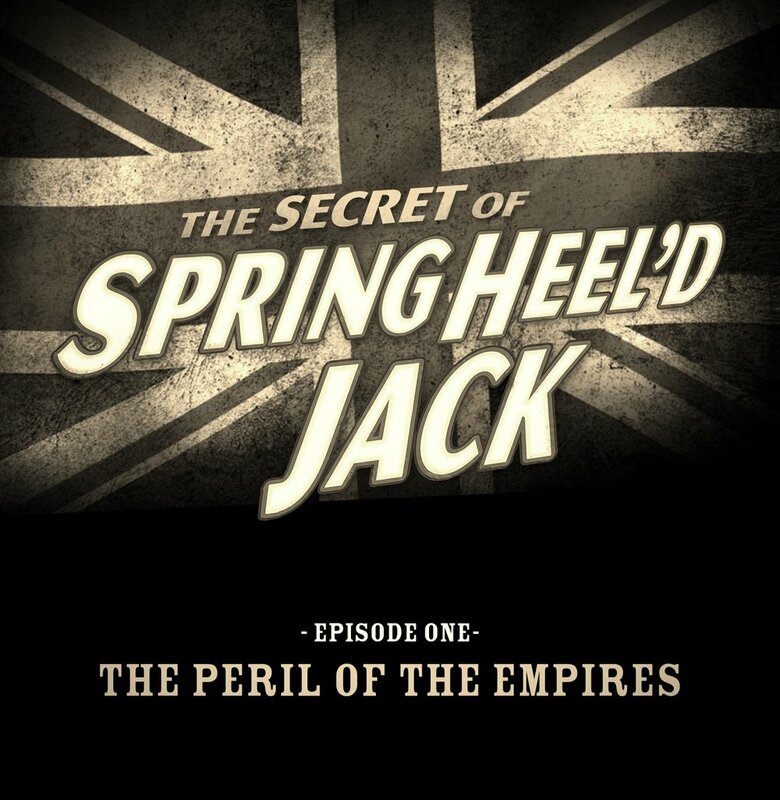 THE SPRINGHEEL SAGA - Series Two: The Legend of Springheel'd Jack*, The Wireless Theatre Company, 2013. DEAD LONDON*, The Wireless Theatre Company, 2013. Eighteen months after writing and performing in audio productions for Wireless Theatre, Jack was offered the opportunity to direct his first audio piece, SPOOK SQUAD, which featured DAVID BENSON (Boris: World King, Think No Evil Of Us). After that, he directed several pieces for Wireless Theatre Kids, and was engaged to direct WE ARE NOT THE BBC with CHRISTOPHER TIMOTHY (All Creatures Great and Small, Doctors). The sequel, WE ARE THE BBC, featured STEPHEN FRY and NICHOLAS PARSONS (Just A Minute). He also directed BRIAN BLESSED and JO BRAND in two LIFE AT DEATH'S DOOR documentaries, and JULIET STEVENSON in THE MURDER OF ROGER ACKROYD. In 2017 he directed A CHRISTMAS CAROL for Wireless Theatre Ltd., and 2018 saw him undertake SPID Theatre’s PIG AND WHISTLE: A GRENFELL STORY, written and performed by young people directly affected by the 2017 tragedy. SPOOK SQUAD, The Wireless Theatre Company, 2009. WE ARE NOT THE BBC, The WirelessTheatre Company, 2011. WE ARE THE BBC, The Wireless Theatre Company, 2013. LIFE AT DEATH'S DOOR, The Wireless Theatre Company, 2013. THE SPRINGHEEL FILES, The Wireless Theatre Company, 2013, 2014. LIFE AT DEATH'S DOOR II, The Wireless Theatre Company, 2014. SWEATBOX, Wireless Theatre Ltd, 2015. PLUS ONE, Wireless Theatre Ltd. / Actor's Guild of Great Britain, 2015. THE MURDER OF ROGER ACKROYD, Wireless Theatre Ltd., 2015. THE PIG AND WHISTLE: A GRENFELL STORY, SPID Theatre, 2018. After the commissioning of the first series of THE SPRINGHEEL SAGA, Jack became a Co-Producer of the property alongside Robert Valentine and Mariele Runacre Temple. At the Wireless Theatre Company, from 2011, he was In-House Producer of Wireless Theatre Kids productions. During the post-production hiatus of Series 1 and 2, Jack served as producer of Moving Theatre's CARMEN, featuring cast members from the West End's SHOWSTOPPERS! Between Series 2 and 3, both Robert and Jack produced DEAD LONDON and its associated transmedia footage, all directed by GEORGE MADDOCKS. When the company transformed into Wireless Theatre Ltd in 2014, he became a Senior Producer. In 2017, he joined the Wireless Theatre’s Audible production team, where he assisted with the production of TREASURE ISLAND (starring Philip Glenister, Daniel Mays, Catherine Tate and Owen Teale) before producing Murder On The Orient Express with Tom Conti, Sophie Okonedo, Art Malik, Jane Asher, Rula Lenska, Paterson Joseph, Ruta Gerdmintas and Eddie Marsan. Both were directed by David Beck. For Wireless Theatre, he oversaw in-house productions including the 2017 Christmas release I HEART AMY and THE NIGHT OF THE ORCHID and BLUE SKY for Autumn 2018. 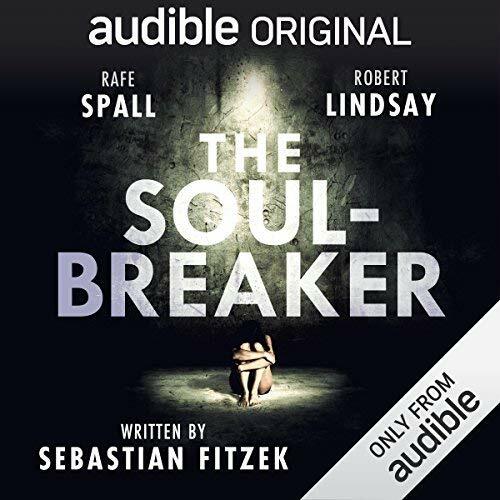 For Audible in 2018, he further produced ARABIAN NIGHTS Volume 1, THE SOUL-BREAKER and THE DARKWATER BRIDE. SHARED, Wireless Theatre Company, 2011. THE DIARY OF A MADMAN, Wireless Theatre Company, 2011. CARMEN, Moving Theatre / The Wireless Theatre Company, 2012. DEAD LONDON, The Wireless Theatre Company, 2013. THE SPRINGHEEL SAGA - Series Three: The Secret of Springheel'd Jack*, The Wireless Theatre Company, 2015-2016. MURDER, REVOLUTION AND TRAFFIC WARDENS, Funny Women / Wireless Theatre Company, 2016. Want a voice reel recorded with an award-winning Director/Producer who currently works in UK and has ties to US independent audio drama production? With over a decade of experience working in audio production at all levels and different sectors, Jack offers actors and voice performers private Voice Reel services. For any actor looking to work in the various disciplines of audio work, a reel to showcase your abilities is essential, but more so is having the correct type of reel for the right type of casting. Jack has handled voice reel work for private clients, as well as for students at respected drama schools such as LAMDA and RADA. He can help you build a reel for all areas of the audio production world. Please email him for prices (which have no additional VAT or hidden costs) and to check for availability (reels are currently recorded in London), with remote services coming soon. BASIC BBC - £389 (for BBC Radio 4 Drama/BBC Podcast Drama casting). BASIC DRAMA - £229 (for multi-voice independent sector drama producers, such as Audible). BASIC COMMERCIAL - £189 (for radio/audio commercial advertising casting). BASIC NARRATION - £229 (for audio book producers, such as Audible, RNIB, Harper Collins, Penguin). BASIC CHARACTER/ACCENT - £249 (for animation, video games, toys, online or specialist accent castings). BASIC NARRATIVE - £199 (for corporate clients, internal information footage). PLEASE NOTE: This requires full reading by any potential client to help make your reel the most effective it can be. CONSULTATION: You will get a pre-recording meeting or call to discuss the structure of your reel and what is required in terms of material. This is followed up by an email conversation where material is vetted before you step foot in the studio. This way, you are confident that the material is suitable for recording in advance. This means it is ideal for you to book a reel with at least a week’s notice. RECORDING: Depending on your selected reel, you will work with Jack and a professional studio technician in London and be directed through your material over the course of at least an hour (depending on which reel you are recording). It may be possible to offer this as remote recording experience in the future as well, for those not able to travel to London. EDITING: After recording, your reel will require post-production work, which may include the addition of spot FX, music or atmosphere. Each type of reel has its own demands in terms of post-production, so the turnaround period noted below will reflect this. NOTE: If you require a faster turnaround, this will involve a slightly higher price for the urgency of post-production. Please discuss this with Jack at the first opportunity to explore your options. DELIVERY: After post-production, you will receive a near-finished draft for you to hear. Any practical suggestions and thoughts can be offered at this stage, before a final polished edit is delivered to you. You will receive your reels in WAV (high quality) and MP3 (compressed quality) formats. These can then be added to your website(s), your Spotlight, Mandy and Agency profiles, as well as in a format suitable to be sent via email on request to casting directors. USAGE: The reels remain your copyright to use as you wish, provided they are not manipulated in any way which affects the quality of them adversely. Also, your reels may be used for promotional purposes on this website. You will also receive a PDF document on what to do with your reel once you receive it. At the current time, Spotlight allow, under standard terms and conditions, for an actor to have up to 5 minutes of audio files/reels on your Spotlight Page. A BBC reel, which has to be 8 minutes long, is required by the BBC Casting Team to be on your Spotlight CV. To accommodate this difference, Spotlight will insist that an account holder pays an additional £9.99 per year on top of their annual fee, allowing that member an overall total of 15 minutes of audio material on their profile. Please note that you will need to contact them with regards to expanding your online audio allocation directly to accommodate a BBC reel. At the current time, Mandy Actors allow free members to have ONE media file under 200Mb on your Mandy profile, which means an MP3 version of any of these reels, barring a BBC reel, should be suitable. If you upgrade Premium Membership on Mandy.com for actors at a monthly or annual rate, then you are allowed up to THIRTY media files, but all must be under 200Mb each. The same is also true of Mandy Voices UK. Please note that the BBC DO NOT accept BBC reels via Mandy Actors or Mandy Voices UK, but you may still wish to upload a BBC reel to your Mandy profile(s) regardless. Some agents will request the use of your voice reels on their website(s). If you have any specific requirements or information regarding how your agent would prefer these files, please let Jack know at the booking stage as, inevitably, each requirement for each agent will be bespoke in some way. DISCLAIMER: Jack does not endorse the use of these third-party resources in any way, and the information above is presented only for full transparency on how and where a reel can be used and in what form. It is not presented for promotional purposes. STUDENTS - for third year undergraduate drama/performance students or final year post-graduate drama/performance students, Jack can offer a 10% discount on proof of student membership. GRADUATES - for anyone who graduated from Drama School/University within a year of completing their course and needs a reel at the start of their career, Jack will offer a 10% discount on proof of a graduation date. SO & SO ARTS CLUB MEMBERS - if you are a valid member of The So & So Arts Club, you can receive a 10% on any reel. As simple as that! The BBC have specific guidelines on what they expect to see on a voice reel for radio and their new podcast programming. With this package, Jack will help you create an 8 minute reel suitable for their needs. Includes: 2 Hour Consultation, 3 Hour Recording, Studio + Technician and Editing. Turnaround period is four weeks. For a more general scripted drama reel, which showcases your dramatic range, this is a package more suited to non-BBC work such as Audible and the independent audio production sector. This reel creates a 2-2.5 minute showcase suitable for you to showcase your work for multi-voice audio productions. Includes: 1 Hour Consultation, 1 Hour Recording, Studio + Technician and Editing. Turnaround period is three weeks. Drama work is not the only source of potential income for a voice performer, there is also the world of podcast and radio commercials as well. This is a reel that will give you a calling card to the world of advertising. This reel is a 1.5-2 minute showcase of your abilities to advertise products or organisations. LISTEN TO A COMMERCIAL REEL DIRECTED BY JACK AND EDITED BY TOM MAGGS FOR US/UK ACTOR ERIC SIRAKIAN. Multi-voice drama work for audio is a very different discipline from audio book narration, which is a rapidly growing market globally. The reel is 3+ minutes long, and aims to showcase you reading a variety of printed novels, bringing them to life vividly in the listener’s mind and ears. Includes: 1 Hour Consultation, 2 Hour Recording, Studio + Technician and Editing. Turnaround period is three weeks. More suited to the incredibly versatile vocal performer, this one is designed to be more of a showcase for those with incredibly strong range. Not for beginners or intermediaries, this reel should be for those with that exceptional ability to change - and recall - a multitude of high energy voices at the click of a finger. The reel will be 1.5-2 minutes long and suitable for video games, cartoon, toys and animation work. Includes: 2 Hour Consultation, 2 Hour Recording, Studio + Technician and Editing. Turnaround period is three weeks. NOTE: You will need to prove your abilities before booking in for this package as it is the toughest type of reel to create; this is for the most hardened of voice performers only! LISTEN TO A NARRATIVE REEL CREATED BY UK ACTOR TOM ALEXANDER. Perhaps what is considered the ‘driest’ style of reel, this is designed for corporation voice over work. Not to be confused with the narration reel for audio books, with Narratives think of internal staff videos, safety films and the like. While (definitely) not the most exciting type of voice work, it is part of the industry and brings its own demands. The reel will be 2 minutes long. Includes: 1 Hour Consultation, 2 Hour Recording, Studio + Technician and Editing. Turnaround period is two weeks. If you are looking for a couple, some or all of the above reels, then Jack can offer you a Pick ‘n’ Mix approach to combine any of the above reels into one package and/or one session. Or maybe you want to do them all! As a slightly more bespoke service, turnaround times and costs will be unique to your demands. Prices Vary - email for more details and Jack will talk it through with you. Prices Vary - email details of your preferred reel for more information. It is important to note that no one reel is a guarantee that it can generate work. However, at every stage of the process you will have guidance and the support of Jack to ensure that you feel confident in your choices and how to market your reel(s). Jack takes this level of support for the quality of your reels seriously. After graduating with a Degree in Drama, (including Acting and Theatre Administration), Jack started in the Industry as an actor, performing for five years. In 2005, he turned to writing, penning his first theatre piece entitled FROZEN, which premiered at the Etcetera Theatre in 2006. He has penned other theatre productions, (originally under his pen-name of Gareth Parker, which he retired in 2013) for venues such as Leicester Square Theatre, LOST Theatre, The Roundhouse and contributed to the Canal Cafe's NewsRevue as a Director and Writer. PHONOPHOBIA*, Leicester Square Theatre / The Wireless Theatre Company, 2010. 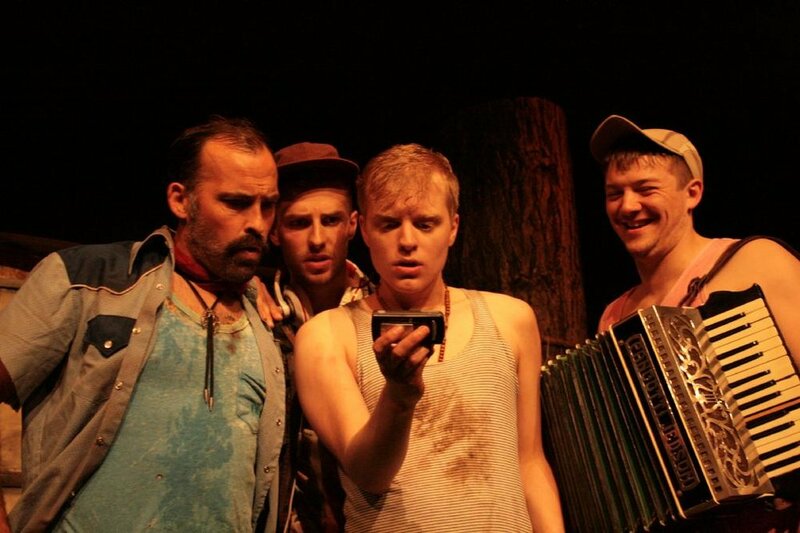 THE FEARLESS YOUTH, Roundhouse Theatre / The Wireless Theatre Company, 2011. NIGHT OF THE HELLHOUND: LIVE! *, LOST Theatre, 2014. Jack began directing for theatre in 2010, with a stage adaptation of his audio play, SEASONS. In 2013, he was selected to direct the 10th Anniversary production of ACS Random's The Shakespeare Conspiracy, which was met with critical acclaim. After this, he directed NewsRevue for - the world's longest running satire theatre show - for Canal Cafe. In 2014, he was appointed the Associate Director of LOST Theatre after directing At Porlock Weir for their Five Minute Festival. As their Associate, he directed notable productions such as Jerusalem and Let The Right One In, before leaving in 2016, to pursue freelance production opportunities in Theatre, Film and Audio. THE SHAKESPEARE CONSPIRACY, ACS Random/Chelsea Theatre, 2012. NEWSREVUE, Canal Cafe Theatre, 2013. VALLEY HOUSE, London Horror Festival/Etcetera Theatre/The Wireless Theatre Company, 2013. AT PORLOCK WEIR, LOST Theatre, 2013. NIGHT OF THE HELLHOUND: LIVE! LOST Theatre, 2014. HOSPITAL FOOD, LOST Theatre / National Theatre Connections, 2015. HOSPITAL FOOD, Tricycle Theatre/National Theatre Connections, 2015. LET THE RIGHT ONE IN, LOST Theatre, October 2015. ECLIPSE*, LOST Theatre / National Theatre Connections, 2016. ECLIPSE*, Hammersmith Lyric / National Theatre Connections, 2016. HAUNTED PEOPLE, Fred's Place, So & So Arts Club, 2016. AGENT NOVEMBER, Producer for Agent November, July 2016 - Present. UNDEAD ESCAPES 2016, Producer for Undead Escapes, October 2016. HAUNTED PEOPLE by Richard Appleby. Directed and Co-Producer, Rehearsed Reading, So & So Arts Club, November 2016. Clapham, 1837. A terrifying apparition stalks the night! Constable Jonah Smith must avoid a pair of vicious killers in his hunt for the mysterious figure who will come to be known as… Springheel Jack! Formal development of THE SPRINGHEEL SAGA began in 2008, with scripting and workshops undertaken during 2009. During this period, distinguished voice actor Christopher Finney (Wizards Versus Aliens, In The Flesh) was approached about taking the lead role of Jonah Smith. Securing a vocally versatile performer was an important step - the series lead would potentially pursue Springheel Jack over a forty year period, should the entire saga be produced! Additional casting was taken from the workshops, including Matthew Jure as Toby Hooks, Jessica Dennis as Charlotte Fitzrandolph and Colin Holt as the Chief. Finally, the casting was completed with the addition of Julian Glover - a legendary actor of many cult gems including Doctor Who, For Your Eyes Only, The Empire Strikes Back and Indiana Jones and The Last Crusade - taking the role of Lord Septimus Wayland. They lead a cast of over 36 actors who contributed to the finished three-part series! Series Two and Three were written and (mostly) produced back-to-back during 2010-2012. Due to the ambitious nature of the schedules, THE SPRINGHEEL SAGA used four separate studios across London. Both Christopher Finney and Jessica Dennis returned, joined by newcomers Andrew Shepherd, Josephine Timmins and Neil McCormack, along with guest star appearances from Nicholas Parsons (Just A Minute, Doctor Who), Jeremy Stockwell, Ashley McGuire (Derek, David Brent: Life On The Road). While the majority of regular and support cast recording work had been undertaken in 2012, the team had to wait a little longer for some special guest stars to join Series Three in separete recording sessions. These were Jenny Runacre (Jubilee, The Witches), Louis Tamone (Hollyoaks, NTA Award-Nominee), David Benson (who has appeared in every single series), Shane Rimmer (Thunderbirds, The Spy Who Loved Me, Batman Begins) and Matthew Kelly (Olivier Winner for Best Actor). However, the wait went on a little longer as the production awaited a royal visit - its very own Queen Victoria in the form of Doctor Who legend Katy Manning! Upon completion of her scene-stealing cameo, post-production began, completing nearly half a decade of work bringing Springheel Jack to life for the 21st Century. Series Three won acclaim once more and completed the hat-trick - a third US Ogle Award. It remains Wireless Theatre's most critically acclaimed, downloaded and awarded series production to-date. 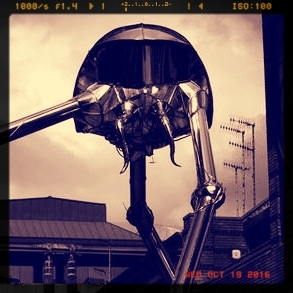 THE SPRINGHEEL SAGA during Series Two was accompanied by it's only 'making of' podcast series, called THE SPRINGHEEL FILES, narrated by Cameron K. McEwan, while it has been celebrated in special online features, conventions (including two successive WorldCons in 2014 and 2015) and in print. It is heavily featured in John Matthews book, The Mystery of Springheel Jack, where Matthews declares it, "so densely is it woven that it... remains the most fully worked-out story of Jack to date." The series has been retooled for potential on-going TV Series or a Feature Film trilogy adaptation by Robert and Jack. Nominated for Best Direction, Best Writing, Best Overall Play, 2010, LOST One Act Festival. Nominations for Best Creative and Best Radio Drama Producer, Radio Production Awards, 2011. Nominated for Best Drama Production, British Public Radio Awards, 2013. 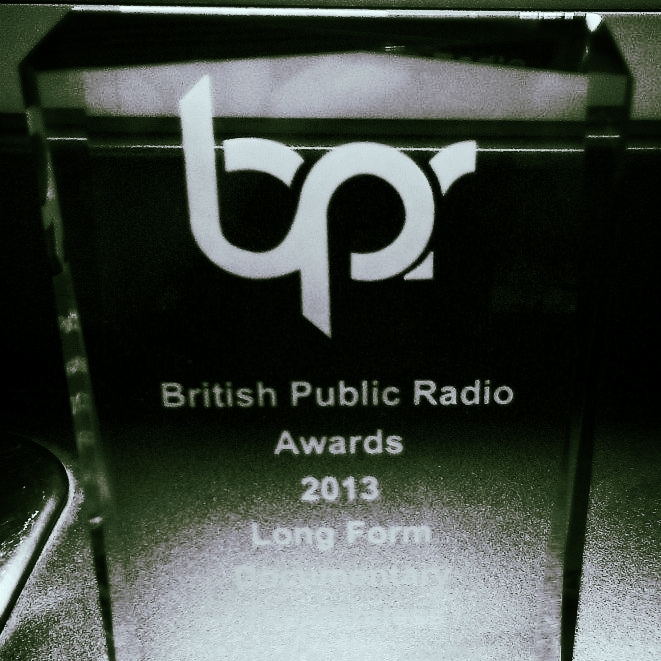 Winner of Best Documentary (Long-Form), British Public Radio Awards, 2013. Winner of Best Production (Gold Award), War Of The Worlds 75, USA, 2013. Best Non-Doctor Who Audio Drama, Outpost Skaro, 2014. Festival Selections for WorldCon, London, 2014; WorldCon, USA, 2015; Prix Nova, Romania, 2014; HEARNow Festival, USA 2014; long-listed for Geekie Awards 2014, USA. Finalist for Best Podcast Drama, New York Festival Radio Awards, 2017. Winner of the Silver Award for Best Drama Special, New York Festival Radio Awards, 2016. Winner of the first CAMEO Award for Best Audio Adaptation. "A hell of a play... excellent,” Adrian Brown, Director and Theatre Critic. “A strong piece...”, The Stage. “A stellar cast with faultless comic timing.... a comedy, a tragedy and the greatest love story ever told, doused with humour and nimbly choreographed sword fights... what’s not to like?” Public Reviews (* * * * and 1/⁄2). “An almost perfect play... The Shakespeare Conspiracy is a triumph. RUN to get a ticket for this show.” ShineSquad. "Witty and intelligent... Jack Bowman is successful in portraying the story..." One Stop Arts (* * * *). “There is much to enjoy... performances are wonderfully exuberant and the production as a whole is a lot of fun.” Exeunt. Night of the Hellhound: LIVE! “A blast from start to finish and something that’s unique and wonderfully enjoyable.... Bowman’s direction is meticulous... inventively original.”, Grumpy Gay Critic (* * * *). “Worth a spooky night out...”, Off West End (* * * *). “Four-star evening of entertainment...”, Croydon Press (* * * *). “LOST Theatre's production of Jerusalem is wonderful”, Deborah Orr, Guardian Critic. “Director Jack Bowman also tackles the play with fantastic precision... a successful revival of Butterworth’s play", Tessa Hart, Remote Goat (* * * *). “Wonderful and full of bravura,” Dirk Maggs, BBC Radio Producer/Director. "A lip smacking melodrama", Audio Drama Review. “Writing and production of evident quality," Starburst Magazine. "The Springheel Saga Series 2 is another triumph," Frost Magazine. "An all-out success. Not to be missed!" The Morgue of Intrigue. "Among the best mysteries we’ve heard in recent memory," Radio Drama Revival. "Compelling writing and strong characters on display in this brilliantly crafted thriller,” Hammer Horror Podcast. “With a shock cliffhanger ending to this first half hour episode, I’m eager to see how the story will now unfold and to finally discover the Secret of Springheel’d Jack...” Susan Oman, Garbage File. 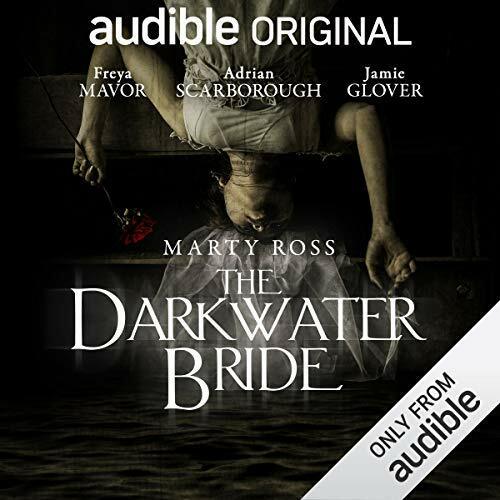 “In many ways it’s the best and most entertaining instalment of the series so far... if you’re minded to enjoy Victoriana, audio drama and the supernatural, it is well worth seeking out the Wireless website to partake of the story... 9/10” JR Southhall, Starburst Magazine. “With an explosive opening and several major twists early on, the stage is being set for a grand finale and the end of Jonah Smith’s personal war with the supernatural killer.” Callum Shephard, Starburst Magazine. “Fun in a truly believably Victorian setting... events have grown and the stakes are higher than ever... It leaves you wanting more – exactly as it should. It’s every bit as polished and well produced as the best” Derek Dunnington, Outpost Skaro. “I'm very impressed so far... dark and very atmospheric... very suspenseful and atmospheric.. it's very good. Well worth taking a chance on...” The Divergent Universe. “Terrifically entertaining!” Lord Julian Fellowes, Creator of Downtown Abbey, on The Murder of Roger Ackroyd. “This new dramatisation, narrated by Art Malik with Tom Conti and Jane Asher, allows the listener to appreciate to the full the ingenuity of Hercule Poirot’s “little grey cells””. The Times, naming Murder On The Orient Express as their second best audio book of the 2017. LAMDA, Voicereels Tutor, (2012 – 2015). BVE 'Radio Online' Debate, (2012). RADA, Voicereels Tutor, (2013 – 2018). BVE 'Radio of the Future' Debate, (2013). Prix Marulic Radio Festival, UK Jury Representative, (2013). New College Worcester, Audio Tutor, (2013, 2015). SPID, Audio Facilitator, (2014 - Present). So & So Arts Club UK, Mentor, (2015 – 2016). To contact Jack Bowman directly regarding production matters, please use the web form below. Any professional writing or directing engagement enquiries will be directed to Jack's representation at the current time. Thank you! Jack will be in touch soon!